The “terrible two’s”… perhaps you have experienced the oppositional behaviour that has given toddlers this reputation! At Dearcroft we love this age, and view it as a prime opportunity for learning. There is perhaps no other time where learning care of oneself is so critical. This is a great age to have children learning to dress themselves, brush their teeth, and yes… toilet train! The process can be far easier if the learning begins before 18 months. This video provides a great explanation of how Montessori Toddler rooms view the toilet training process. Oakville’s original Montessori School Toddler Program! The Toddler Program is for children between the ages of 18 months and 3 years old. This is the period when children’s lives are the most formative, such that they absorb impressions from all aspects of their surroundings. The Toddler Program is a community where a group of young children explore the world together. 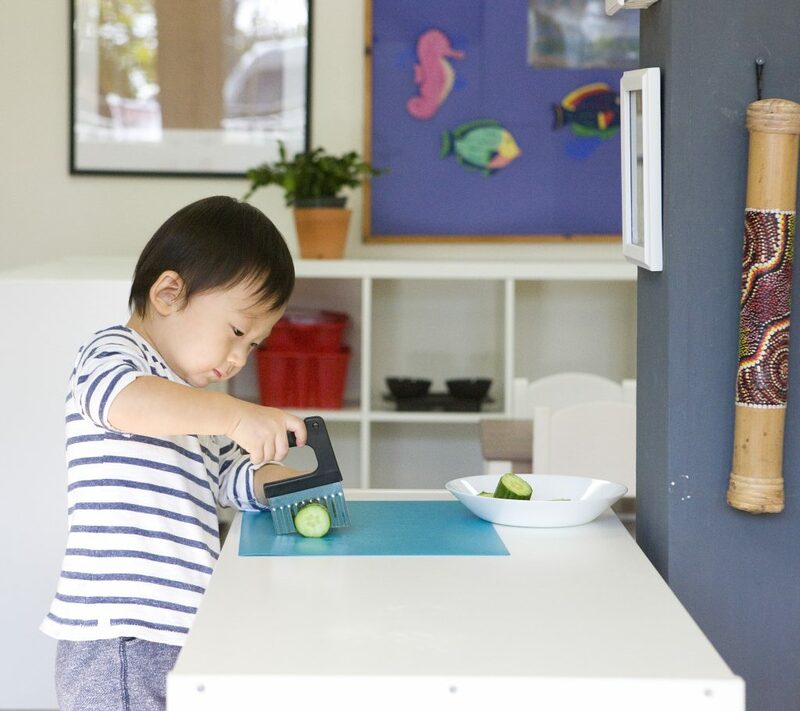 Toddlers work in a carefully designed environment where everything is child-sized. Children are expected to take on greater responsibility for themselves and eventually others. Practical life activities include many of the everyday tasks children observe their parents doing at home. At Dearcroft Montessori our toddlers enjoy and take pride in caring for their environment, themselves and each other. Our learning environment has a diverse set of Montessori materials, activities and experiences. We have a schedule that allows large blocks of uninterrupted learning time. The bright and beautiful, spacious classroom encourages social interactions. We work closely with parents in bringing the home environment in sync with the school environment. It is important that all children feel happy and safe in our school community. We encourage you to come and book a tour of our school. Spring has Sprung and our Toddlers are dressed and prepared for the fun outdoors!